Rotork Australia has supplied Fairchild Model 10 pressure regulators at the TRI Australasia facility close to Queensland’s Gold Coast. 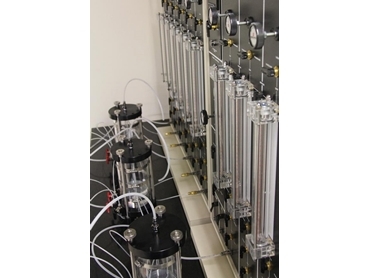 The pressure regulators are being used in research applications demanding highly accurate pressure control. TRI Australasia offers highly specialised services including a range of geo-synthetic testing and quality assurance programmes for diverse industries. TRI Australasia’s Divisional Director Warren Hornsey explained that the Fairchild product was chosen to meet their requirement for accuracy as well as on the basis of the brand’s reputation within the industry. The availability of Rotork Australia’s support from their local Brisbane office was also a major factor. The Fairchild Model 10 pressure control regulators have been installed on two processes where compressed air is used to check for the content of water retention within clay. For these tests to maintain reliable results, both processes demand highly accurate set point pressure supplies. Fairchild Model 10 regulators are designed for applications that demand high performance and reliable set point accuracy. Suitable for system pressures up to 34 bar (500 psi) and flow capacities up to 63 cubic metres/hour (40 SCFM), the Model 10 offers nine set point pressure ranges and can easily achieve the +/- 0.5% accuracy required for the TRI application.